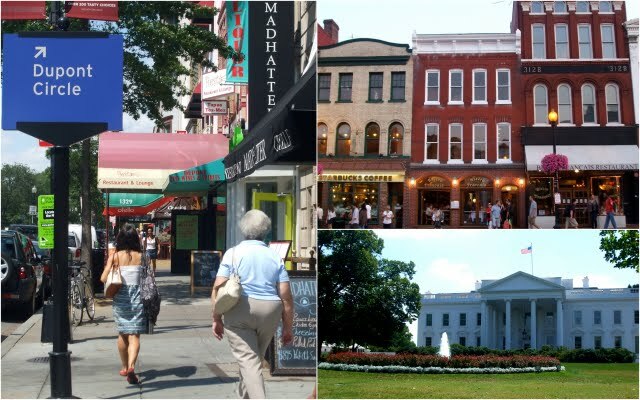 Bite Sized World: The Changing Face of Washington, D.C. The Changing Face of Washington, D.C.
My first childhood memory of Washington, D.C., is of a springtime picnic somewhere on the National Mall. I recall pink and white blossoms on the cherry trees, clouds floating in ripples along the Reflecting Pool, the sound of children laughing, and the impression of being surrounded by very tall, imposing buildings. I was nine or ten years old and had only recently moved from Bulgaria to Virginia. Washington was a rather mysterious place to me, where important things happened and people visited museums and had fancy lunches, but where you generally did not linger past nightfall if you lived in the suburbs. You see, it was the early nineties, and D.C. was a very different place than it is today, with a much higher crime rate and far less options for dining and entertainment. The city still faces many difficulties, but I could hardly recognize it when I visited the District last summer for the first time in 15 years. Washington's social and economic history is a curving tale of decline and renewal. Post-WWII population shifts and poor planning decisions led to severe urban decay in the Downtown area beginning in the 1950's, which worsened following the riots of 1968. It wasn't until the 1990's that the first signs of revitalization began to show, as the government launched several ambitious urban renewal and redevelopment plans, and today, the city is unrecognizable - it is vibrant, young, pulsing with countless cultural and artistic events, and home to more and more restaurants and nightclubs. Coffee shops, beautiful monuments, museums, and nightlife abound in the new D.C.
With that in mind, I'll be sharing a few more posts on D.C. eats and sights in the coming weeks. It's such a delight to revisit a city so many years after your first memory and find that it is an exciting place to be. 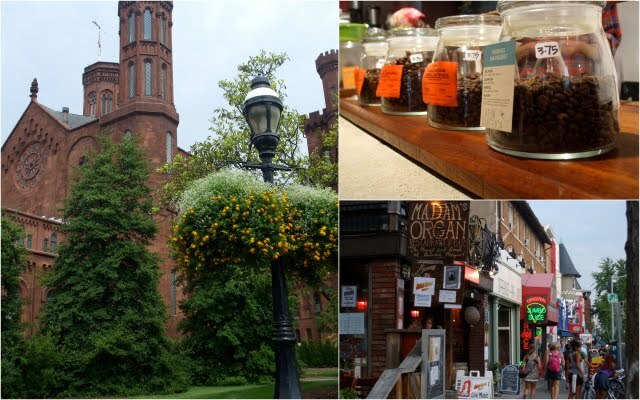 A good overview of D.C. neighborhoods and history. More on the story of the District's urban decay and renewal. dcist.com: Social commentary, events, and a taste of D.C. culture. eatdrinkdc.com/: Recipes, restaurant reviews, and events. culturecapital.com/: Arts events in Metro D.C.